A big weekend coming up. For extra support, Fishcare Volunteers for rock lobster opening weekend on the East Coast. Volunteers will be at Burns Bay ramp, with a hot cuppa brewing for early starters and answer any questions fishers may have. 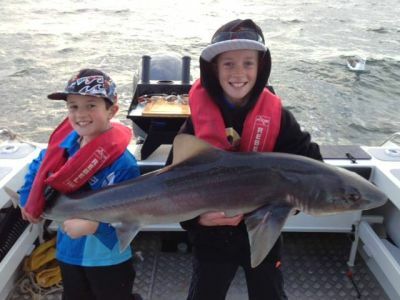 The 2014 whitebait season opens Wednesday 1 October and will remain open until Tuesday 11 November. The rivers open for whitebait fishing are subject to a schedule of annual rotations of open and closed waters. 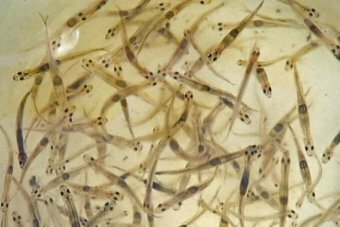 Whitebait fishers will need to ensure that the river they are proposing to fish is open for this season. 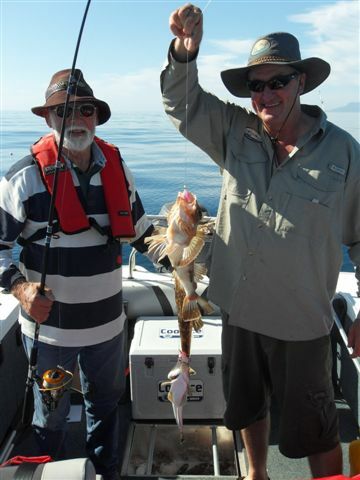 Great day fishing on the water off Burnie Sunday 21 September - Anthony Taylor, Anthony Wolfe from Coastal Marine and the boys! More fish were released than kept..but had plenty for a good Sunday night bbq! Click Read More for pictures. Bill Williams has been at me for a while to take him fishing. 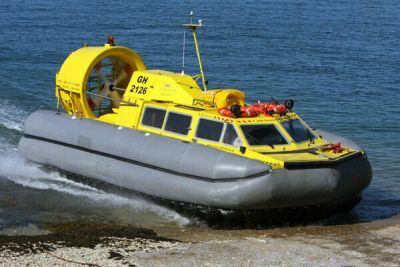 I always enjoy Bill's dry sense of humour so I told him to organise the weather for today (Sunday) and we would head to Swansea in pursuit of a flathead or two. I received a phone call on Wednesday saying he has spoken to the powers that the weather would be perfect ... and it was. 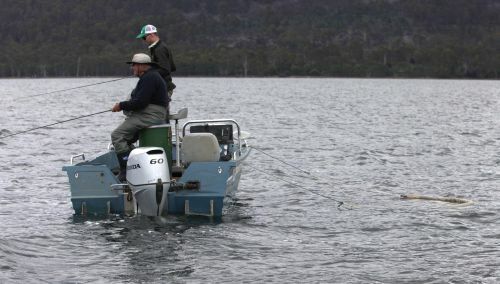 Hi, as many will know Tasmania has the most outdated rules in regard to recreational netting in Australia. We would like to change that. 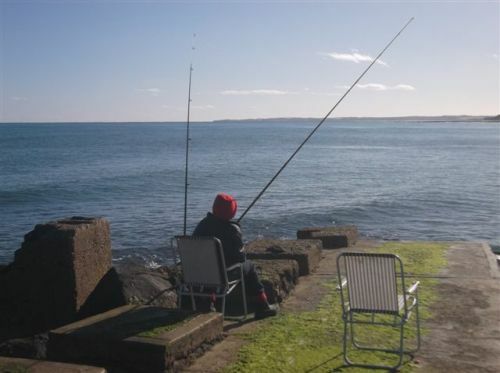 As has been clearly demonstrated - any area from which nets have been removed the fishing has improved. We all want fishing to improve. Supporting a recreational netting ban will do that. The Scalefish Plan review which is underway now gives us that chance. 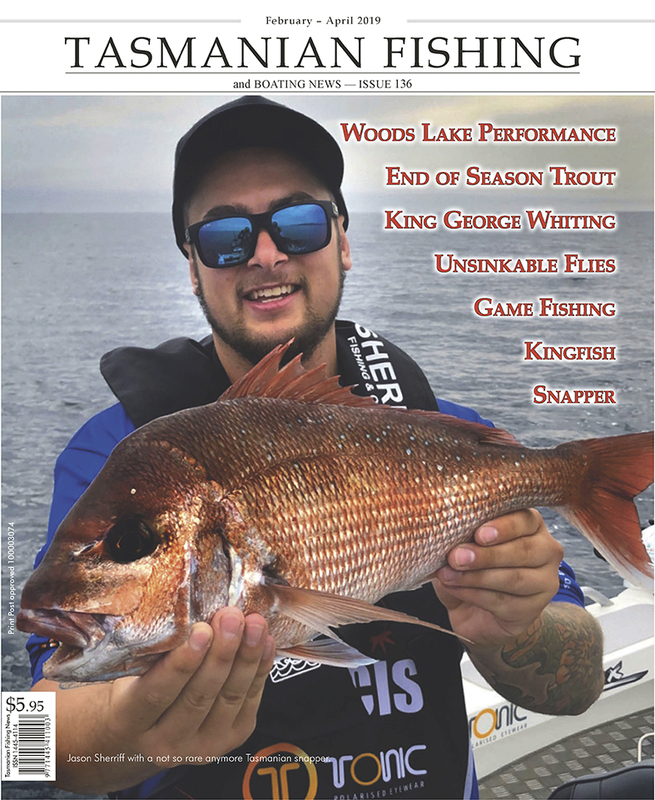 Hi Todd, still enjoy reading the fishing and info news sent in by everybody. Thank You. Went fishing with my son at Weymouth this morning, the first 15 minutes we caught 1 cod and 2 very nice size Flathead ...guess what I'm having for dinner tonight? The weather has finally given me the motivation to go for a fish; Trev was pretty keen to give the bream a go as well, so we headed off to the Swan River to give them a go. We arrived there around 11.30 this morning to a slight breeze and soon had the boat on the water.